are an interactive visual tool, that supports, enhances and accelerates the coaching process. 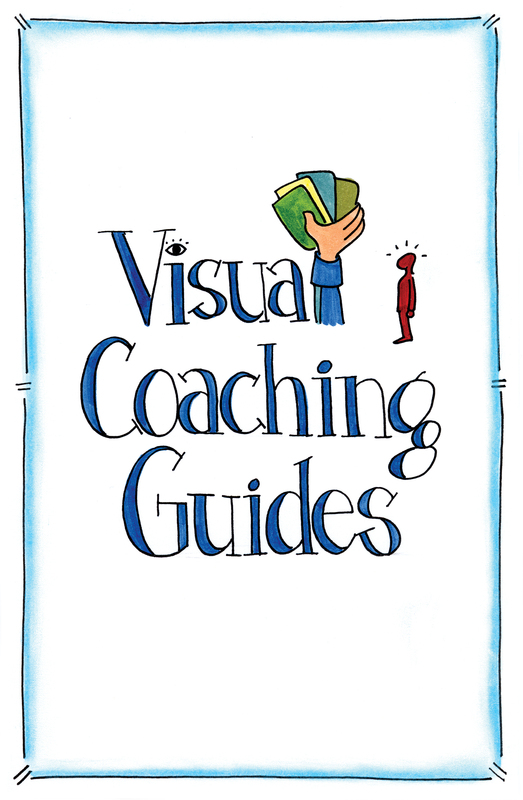 The Visual Coaching Guides help you establish rapport with your clients, or those you are coaching. Collaboratively setting the foundation for their work, designing their objectives, crafting their direction, and allowing for important conversations while visually anchoring the results they aim to achieve. Since the beginning of human history, people have gathered to make meaning of their lives by telling and drawing their stories. We continue to tap into the power of drawing to communicate, and as we know “a picture is worth a thousand words,” and that can be the difference between complexity and clarity. Visuals & graphics engage the intuitive (right side) of the brain, so when we draw an image we are engaging both the analytical (left side) and intuitive side. As a result, we visualize our situations, opportunities and challenges with more clarity and accuracy, since we are able to make meaning & give structure to things that appear unrelated or independent. In the context of coaching and other business processes, we see what is important and can push away the distractions, as you and your clients move through the visual cards you will begin to see insight emerge and transformations begin. These cards were designed with the idea that a novice through master of coaching could pick them up and use them. Think of these guides as a set of professionally crafted “containers” that are tailored to the individual needs and responses of your clients. With skilled inquiry, communication, insight and direction you can “draw” your conversations with your client, and encourage visual exploration of their circumstances and support their thinking.